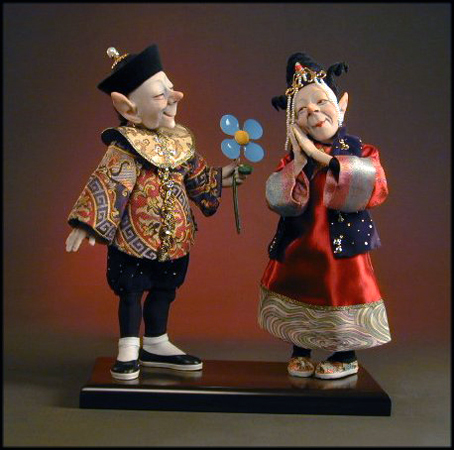 Love is in the air and the courting has begun..
One of a kind Elfin Art Doll Setting, hand sculpted in Quality Polymer Clay and hand tinted. Approx. 9" tall.